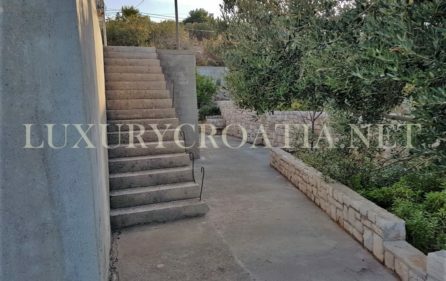 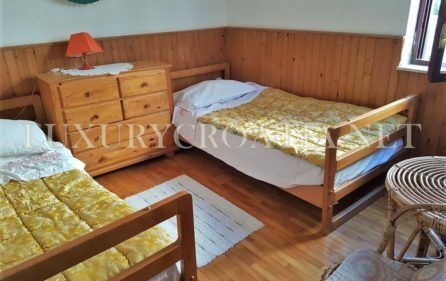 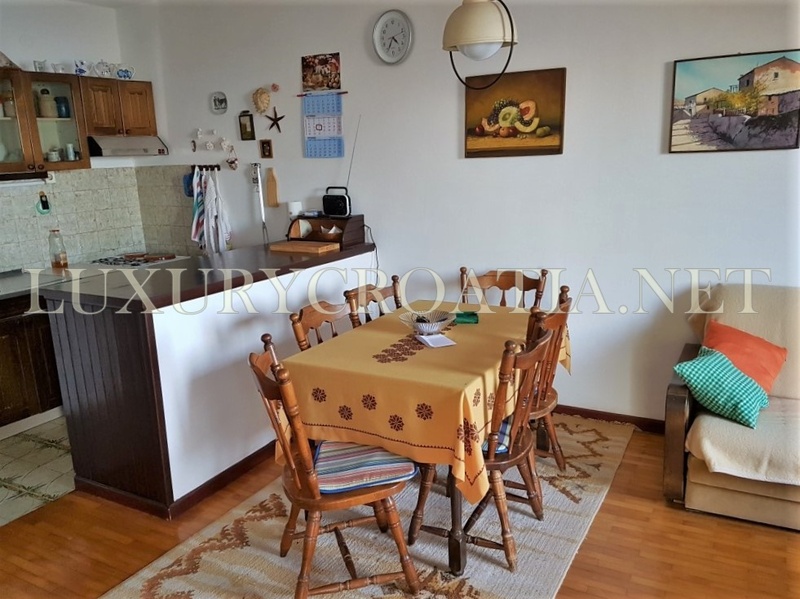 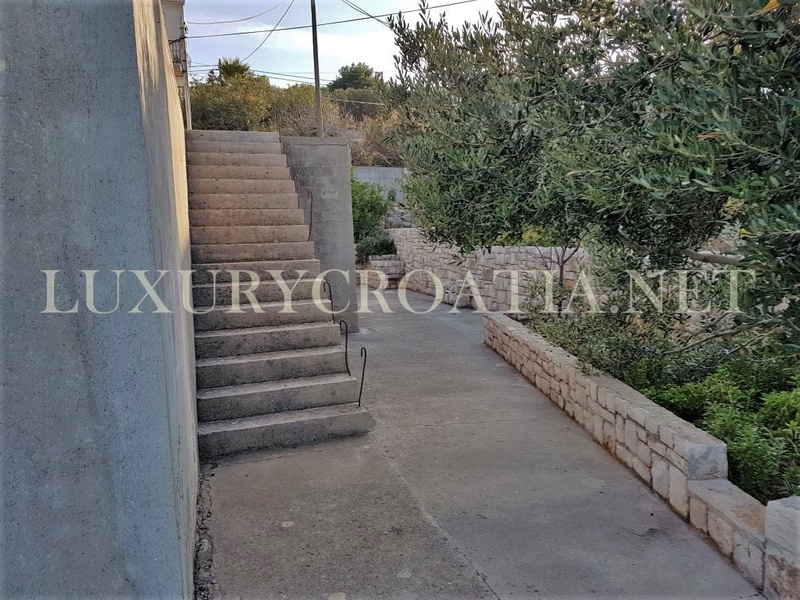 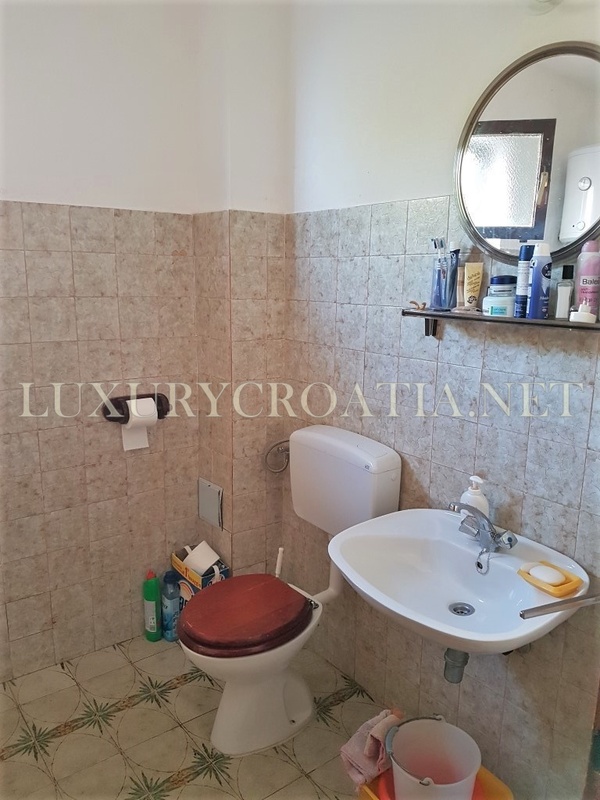 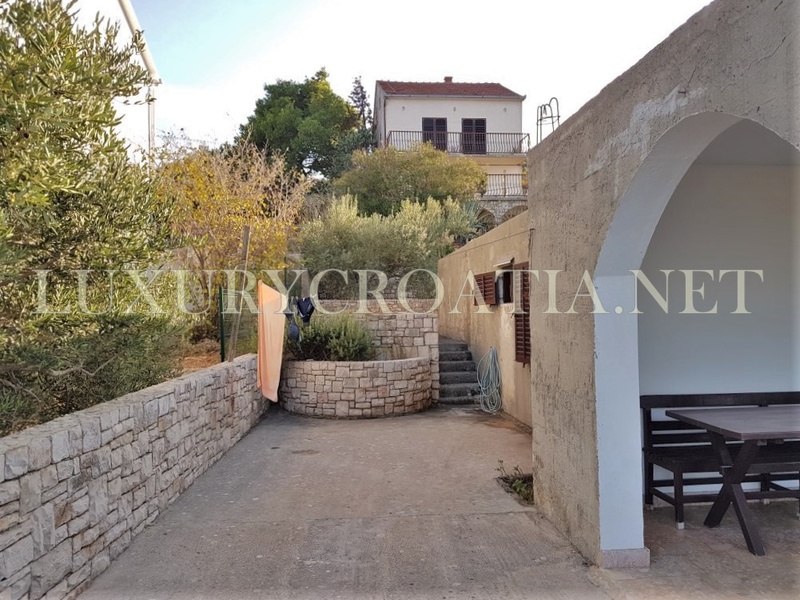 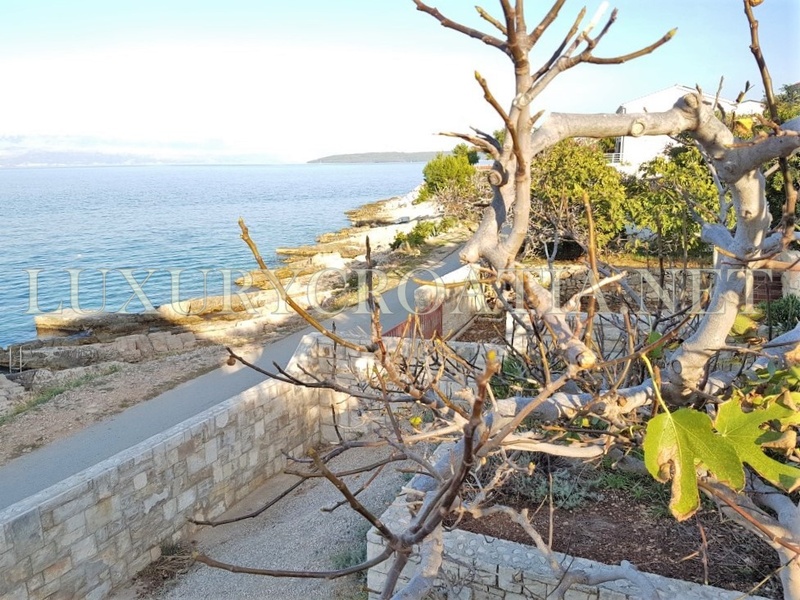 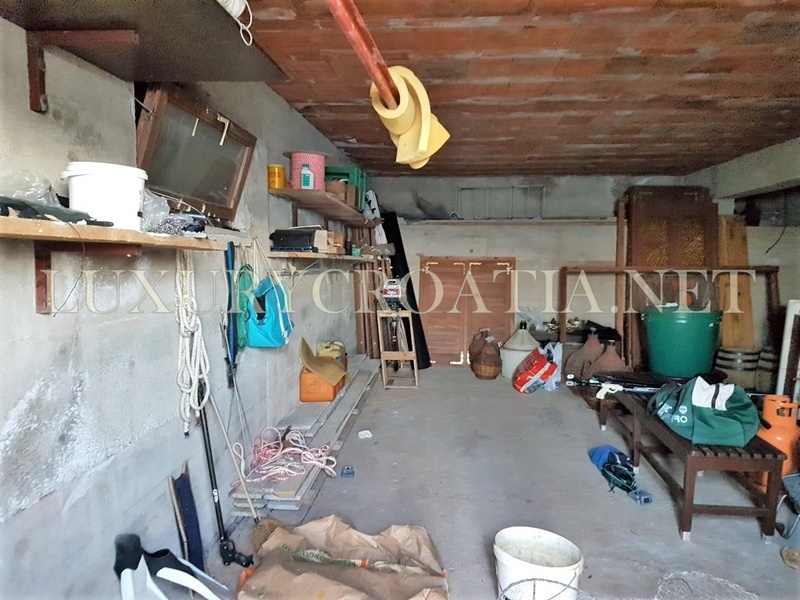 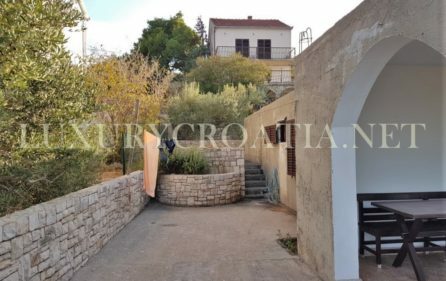 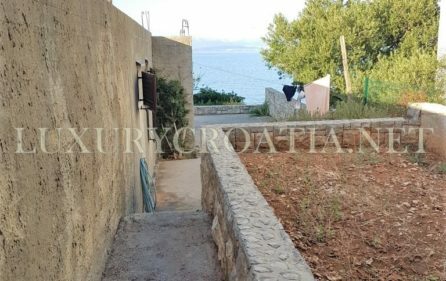 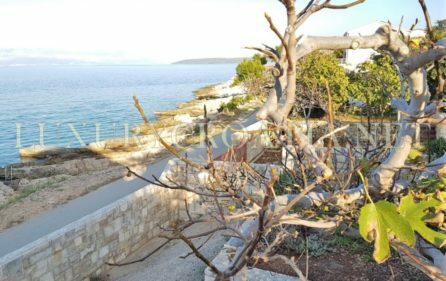 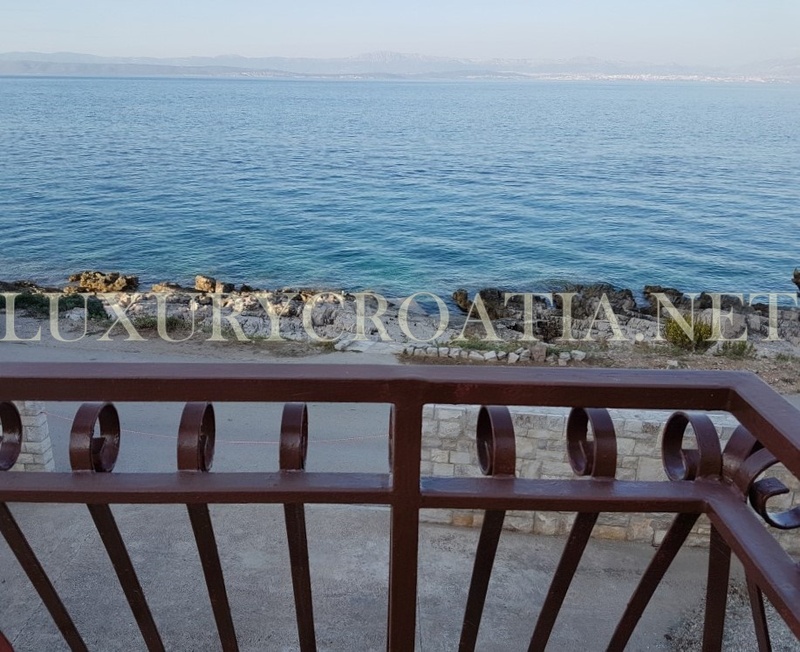 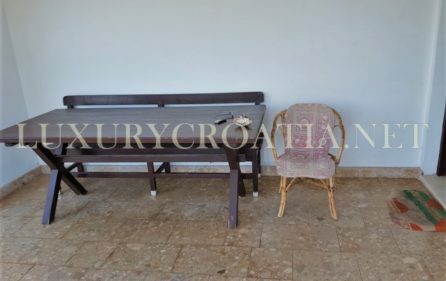 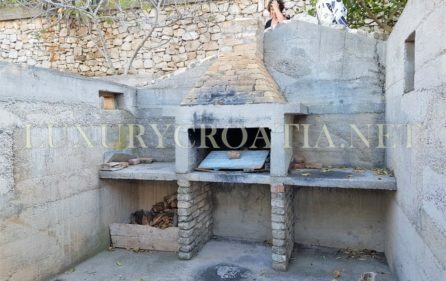 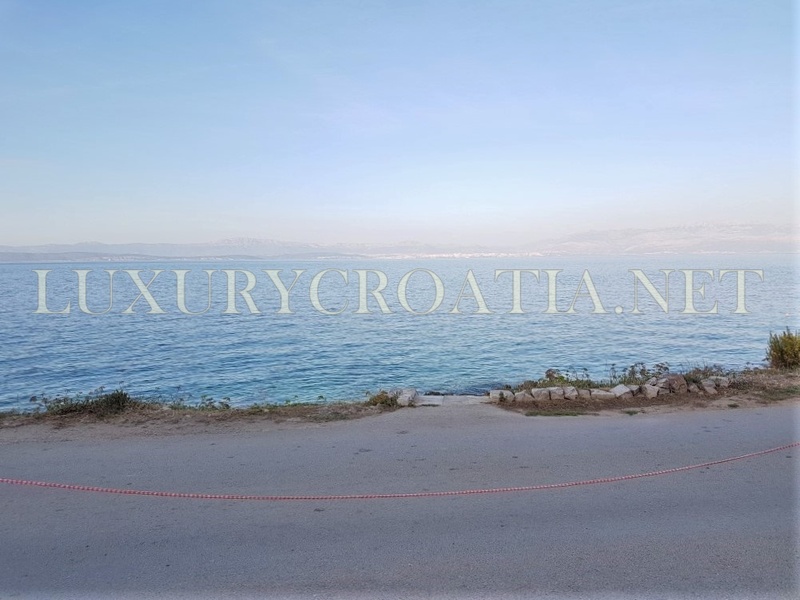 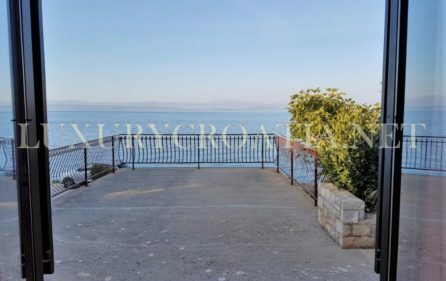 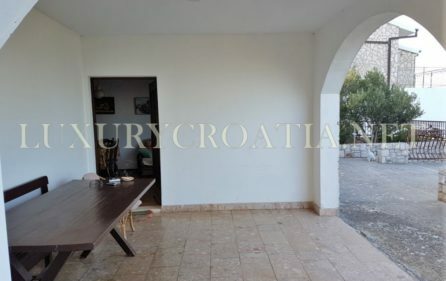 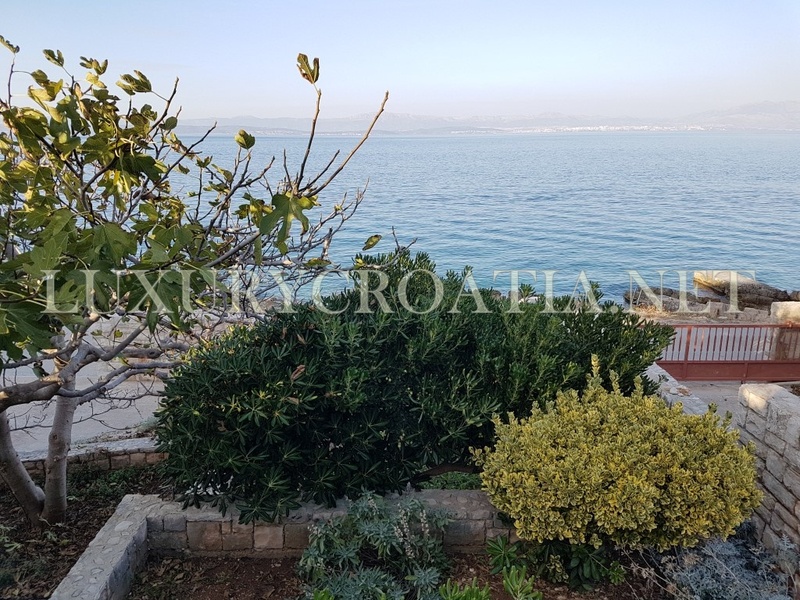 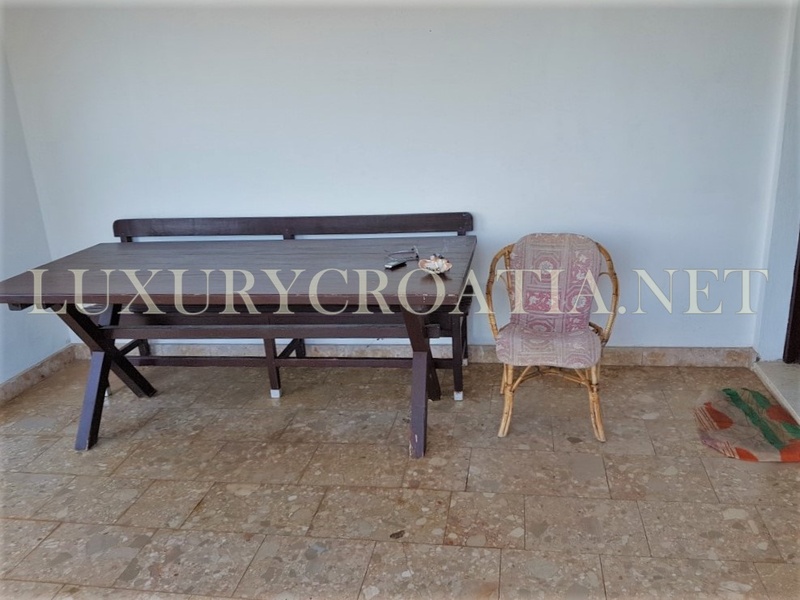 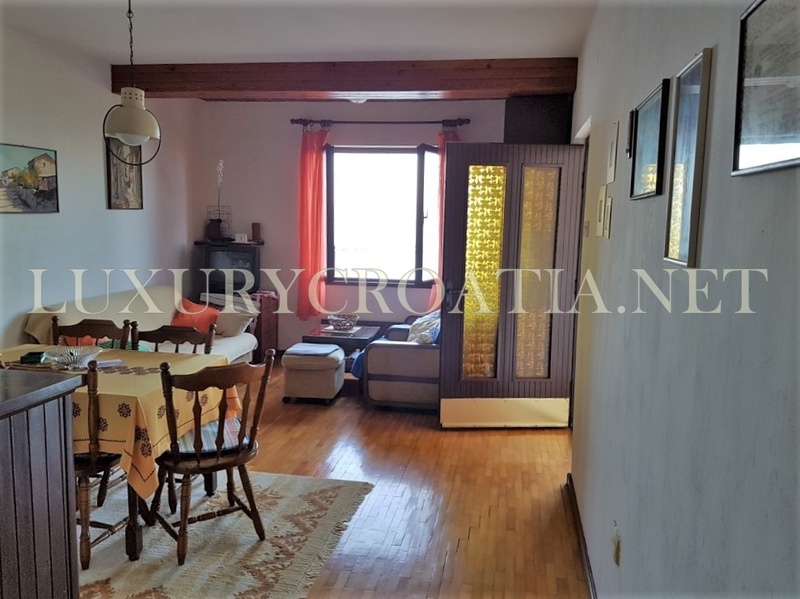 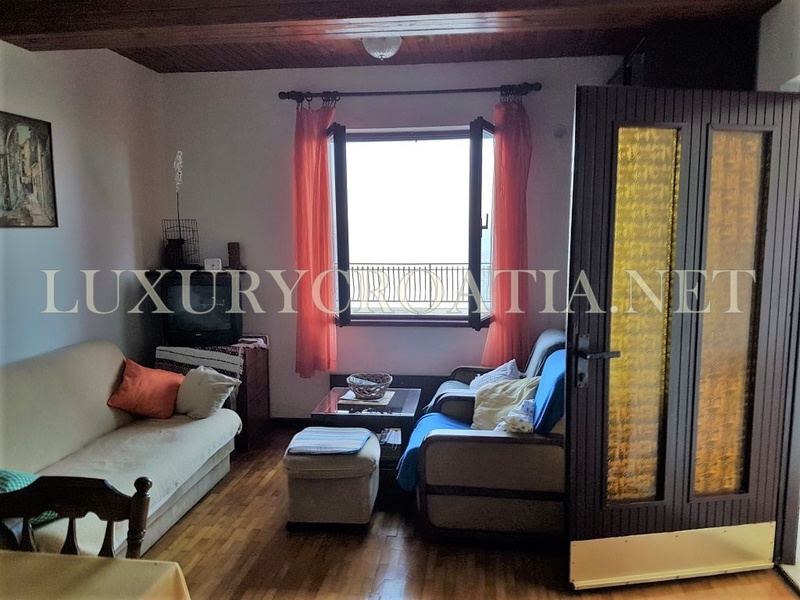 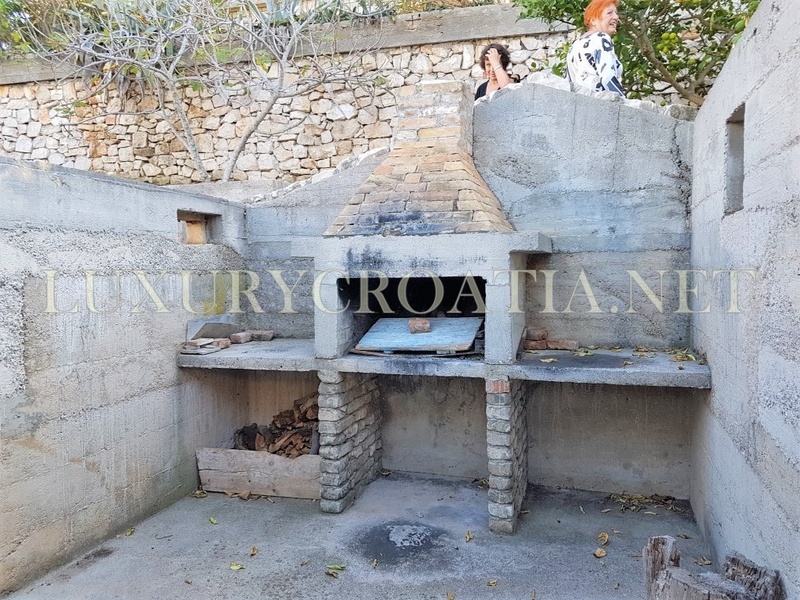 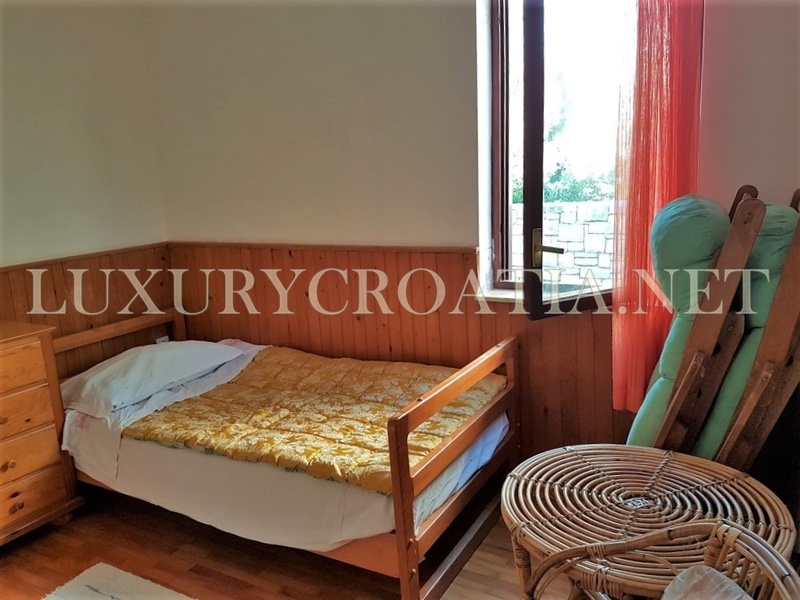 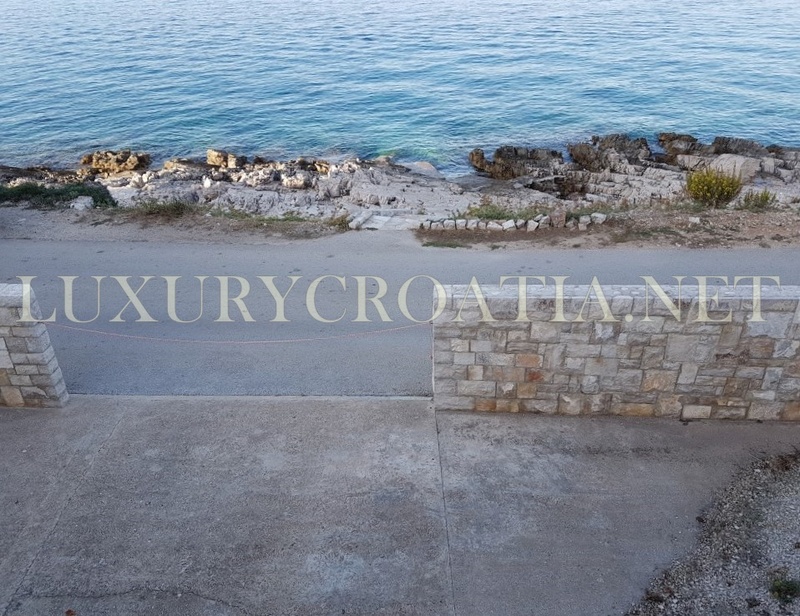 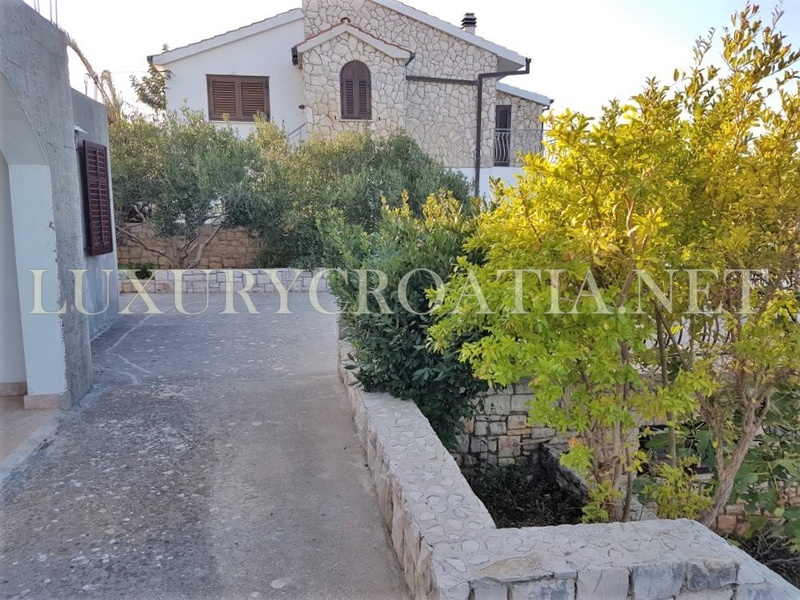 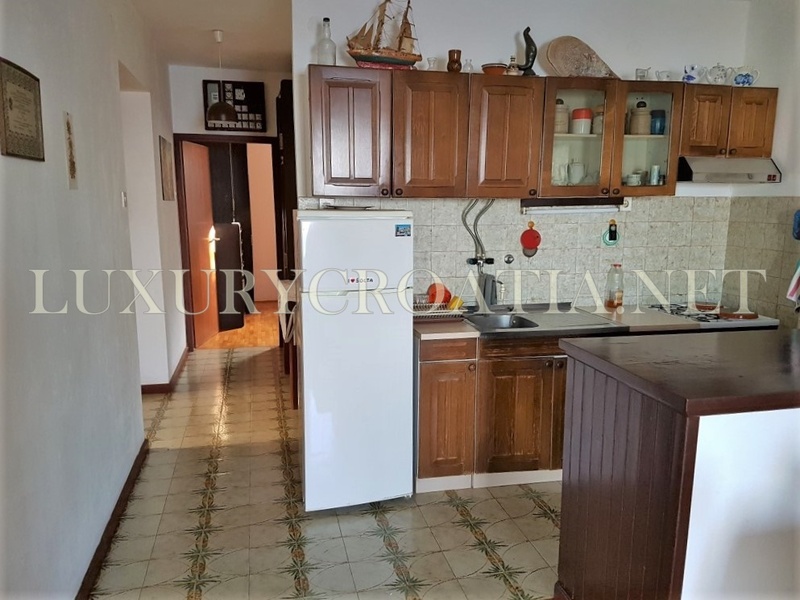 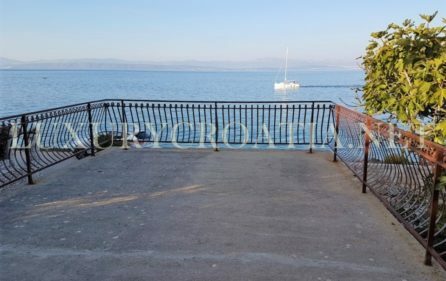 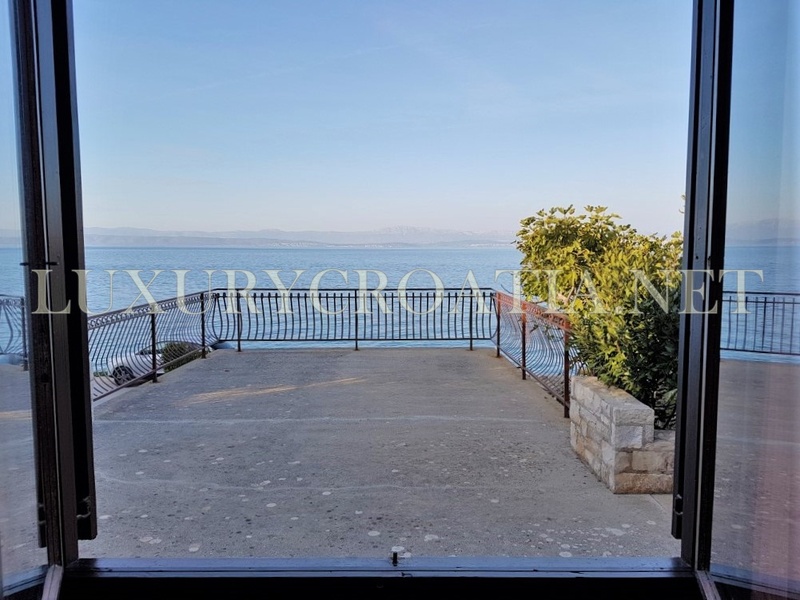 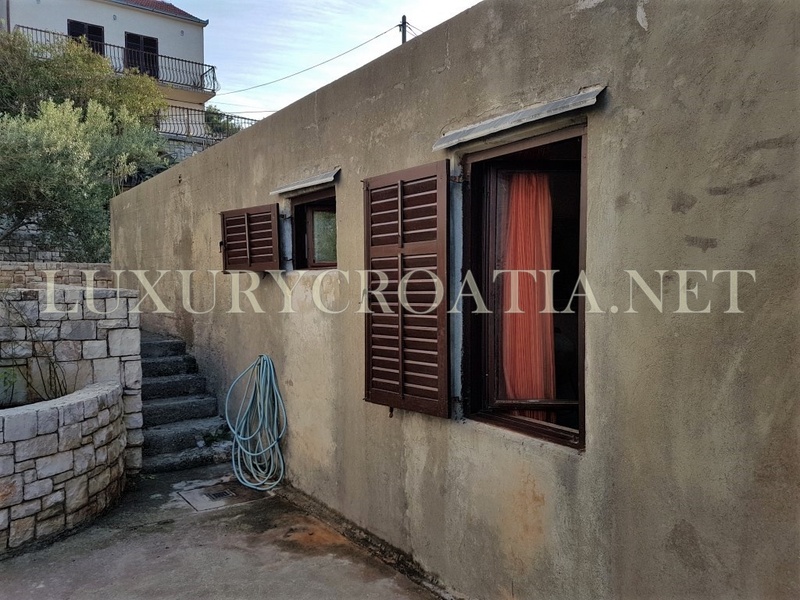 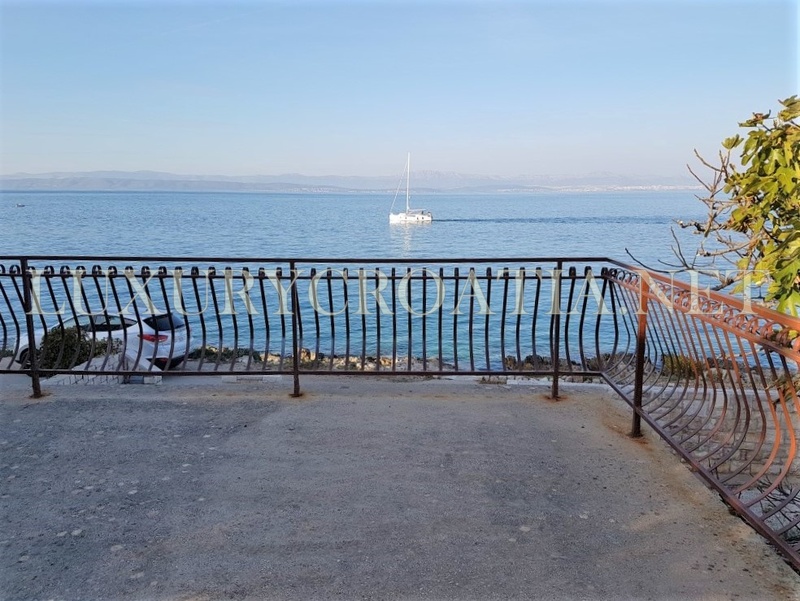 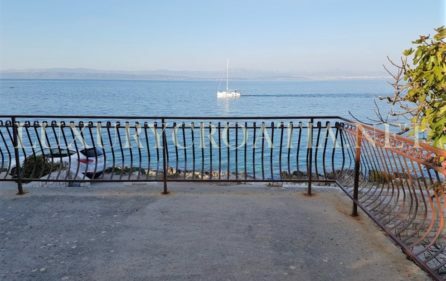 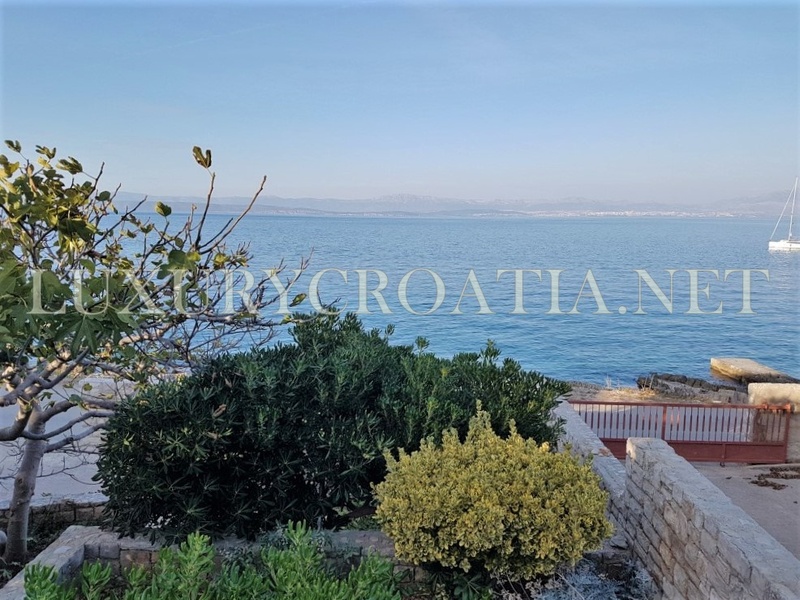 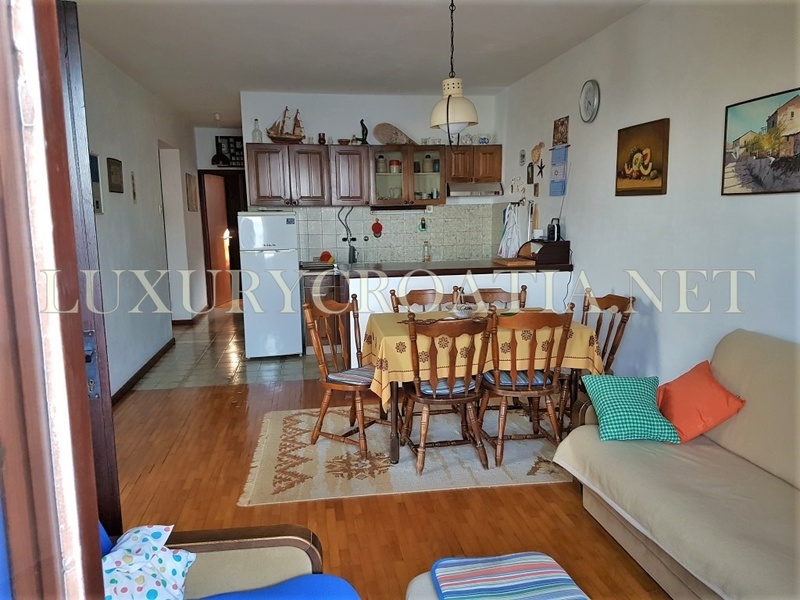 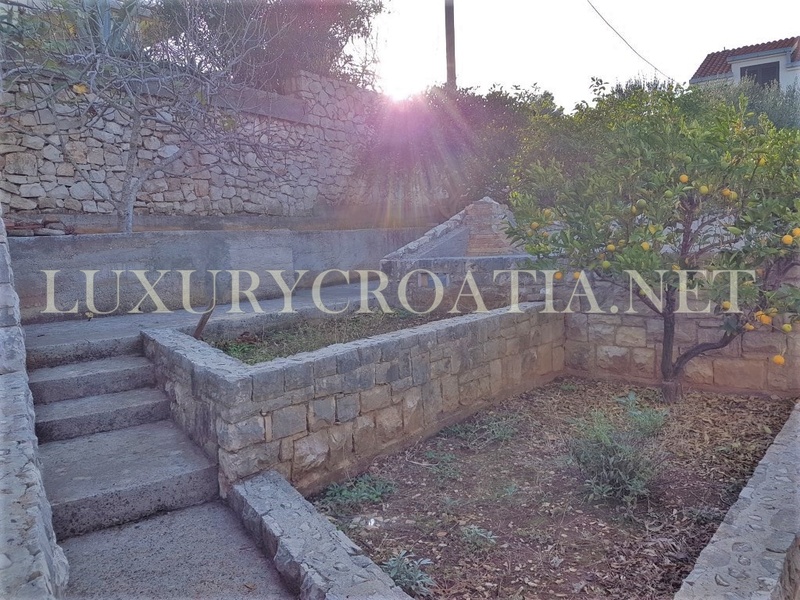 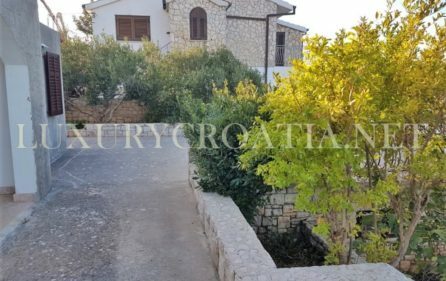 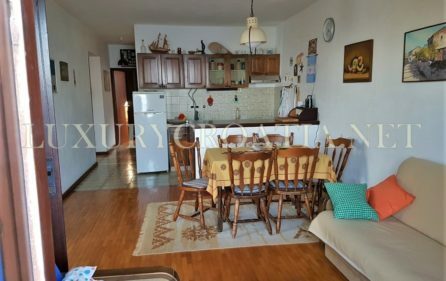 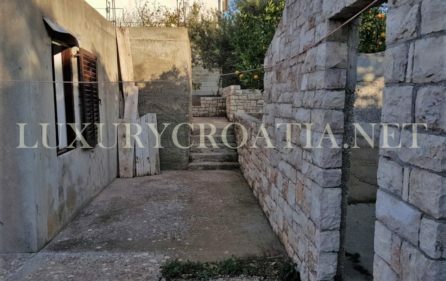 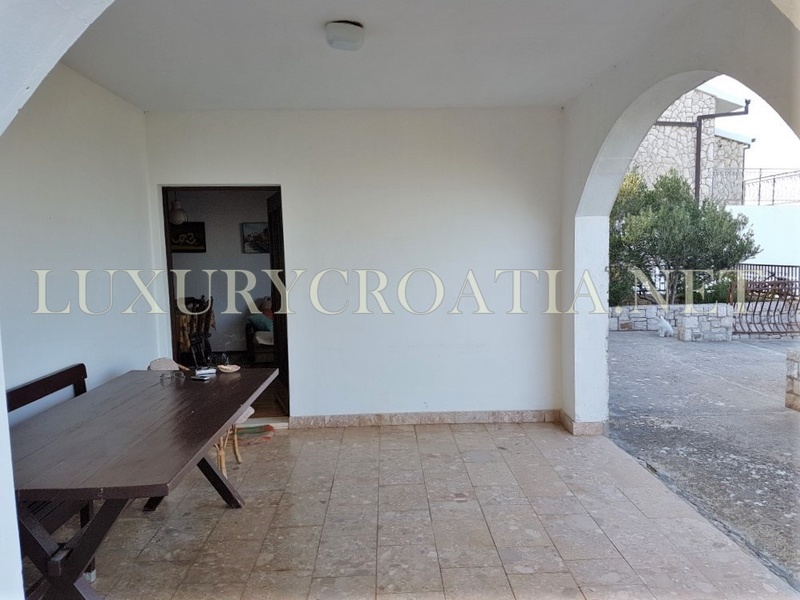 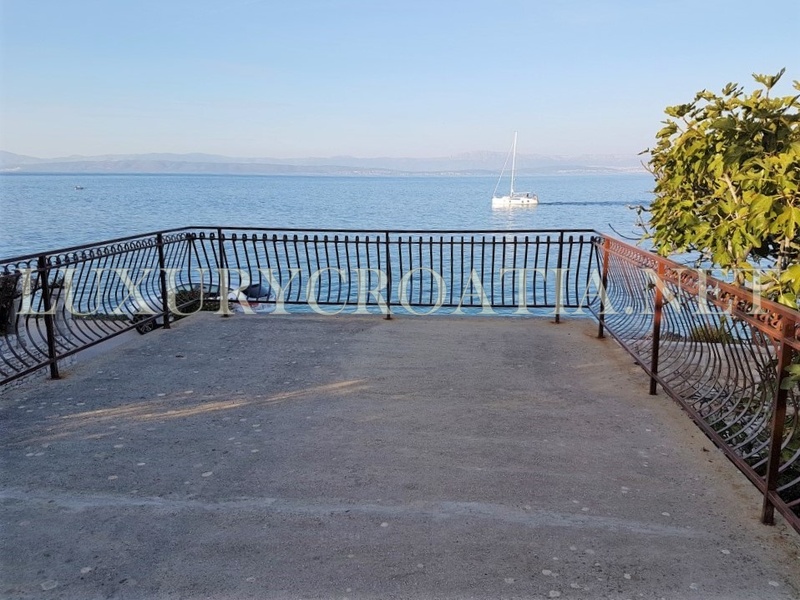 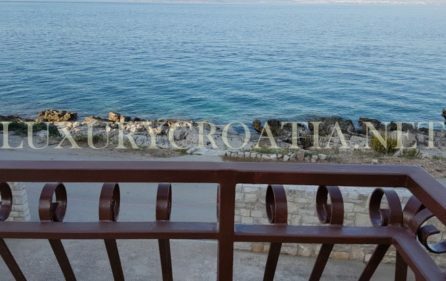 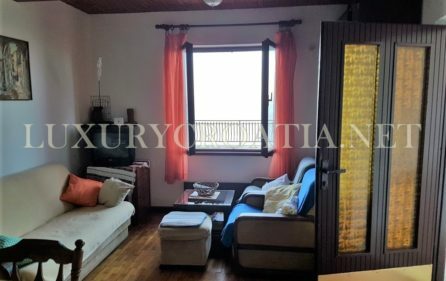 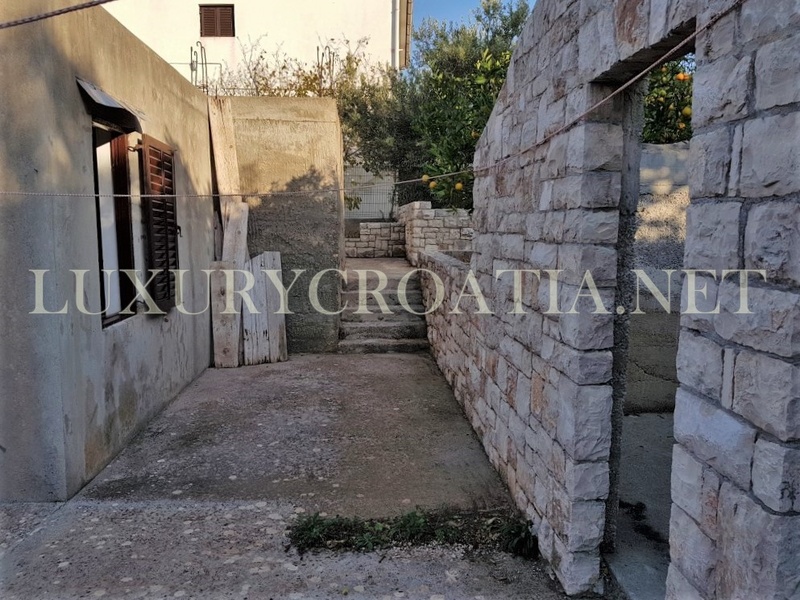 This seafront house for sale Solta island is located in the first row to the sea, with panoramic sea view and stone beach in front. 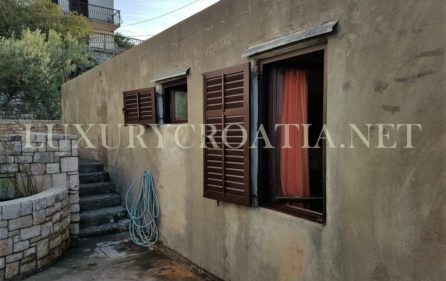 House is not finished outside, there are project and permission to construct one more floor (even two more floors is possible to construct in this zone). 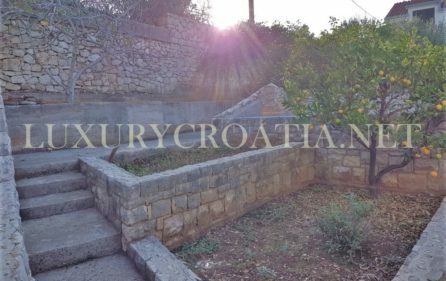 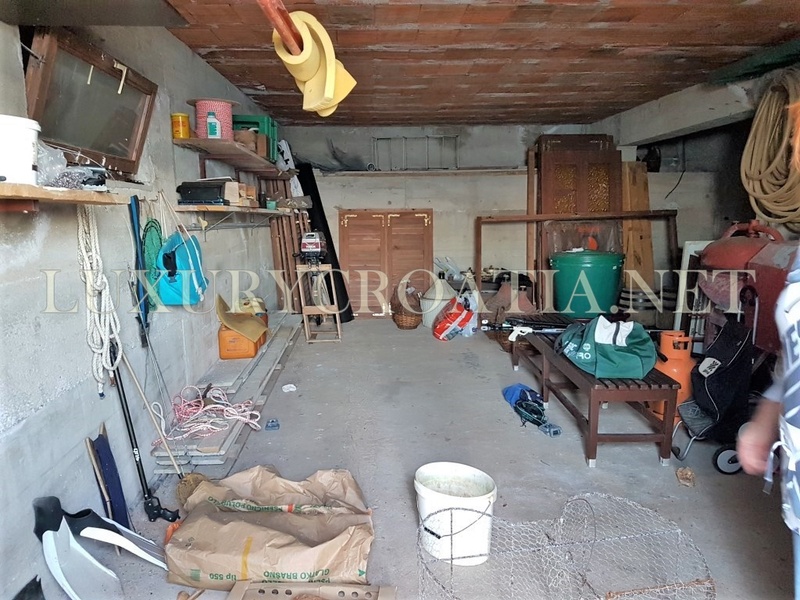 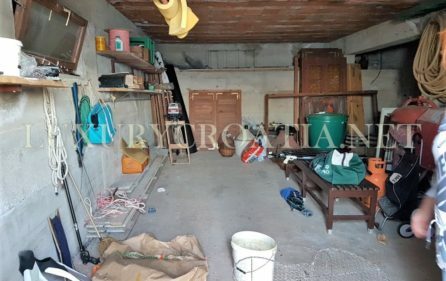 There is 630 m2 of the land, with garage and house of 120 m2. 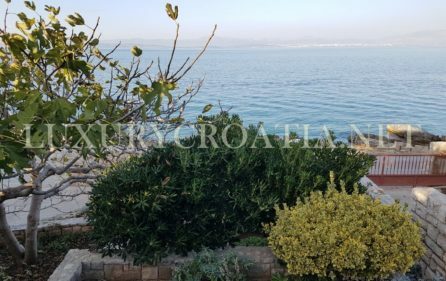 There is a beautiful terrace on top of the garage with lush greenery, suitable for enjoying afternoons overlooking the sea and sunset. 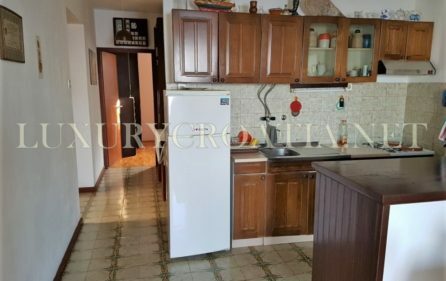 House has an open plan kitchen with dining and living room, hallway and two bedrooms, bathroom. 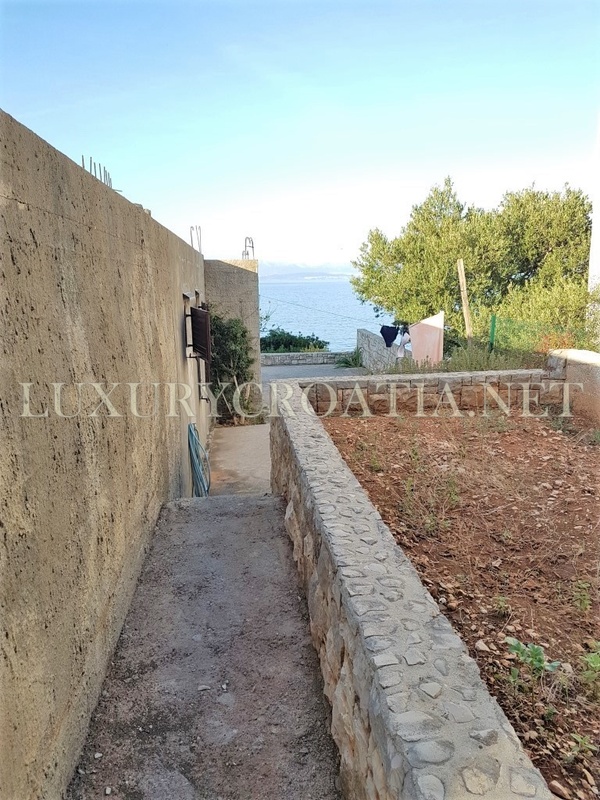 On the back side are unfinished storage spaces, there is a garden on the back side and aside from the house. 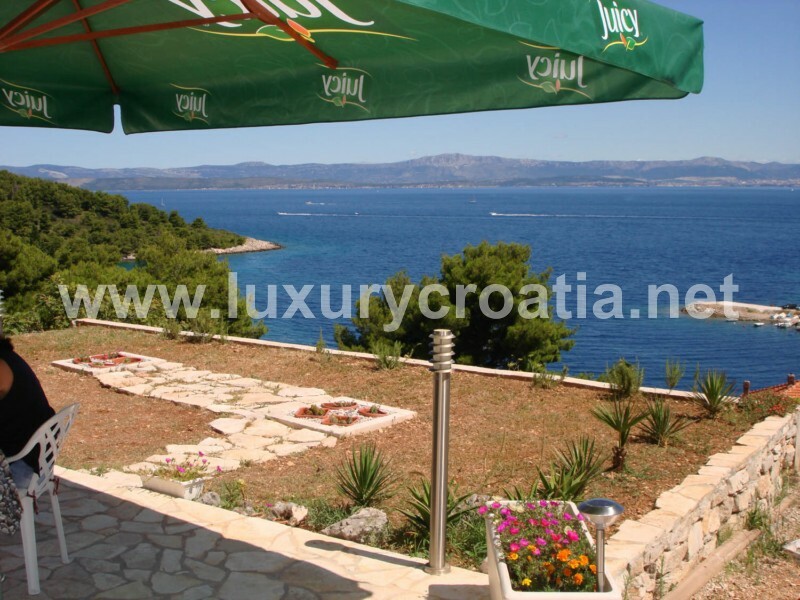 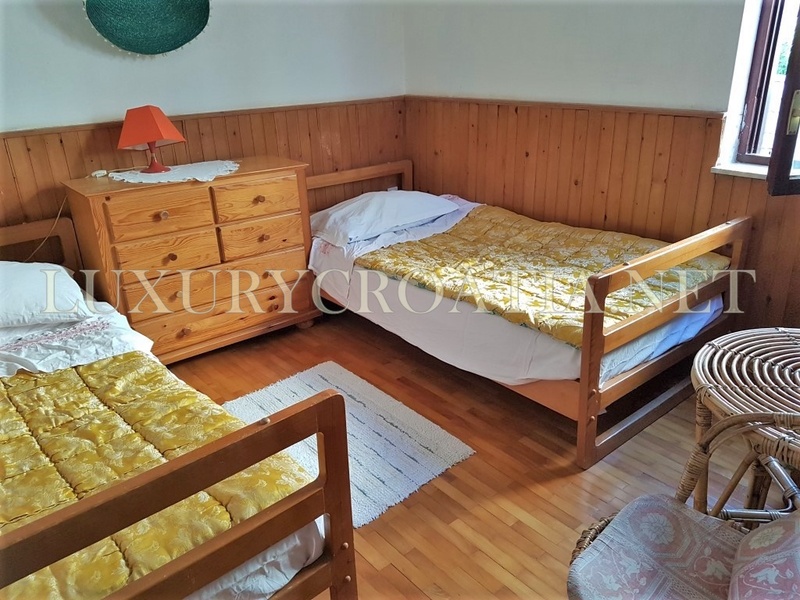 Location is very quiet, in the surrounding are finished nice houses and villas. 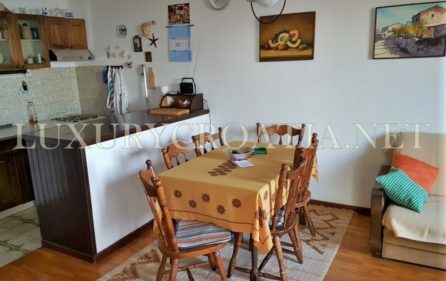 Supermarket and grocery is walk distance, a few minutes from the house. 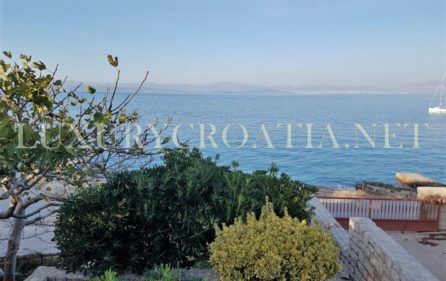 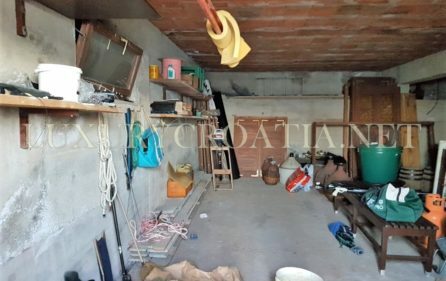 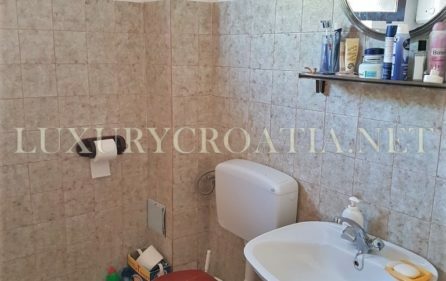 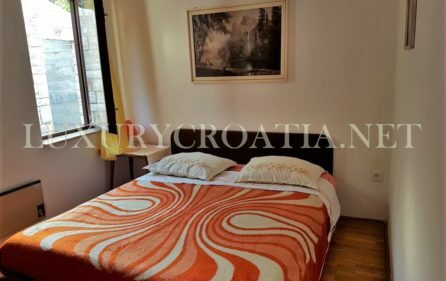 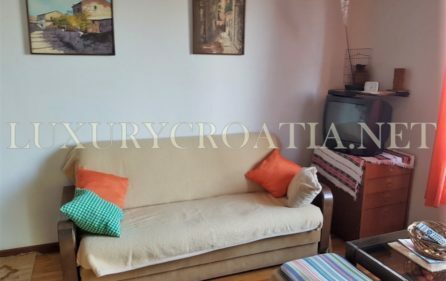 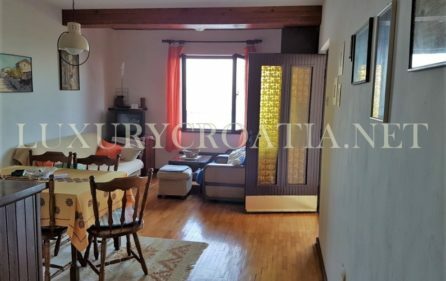 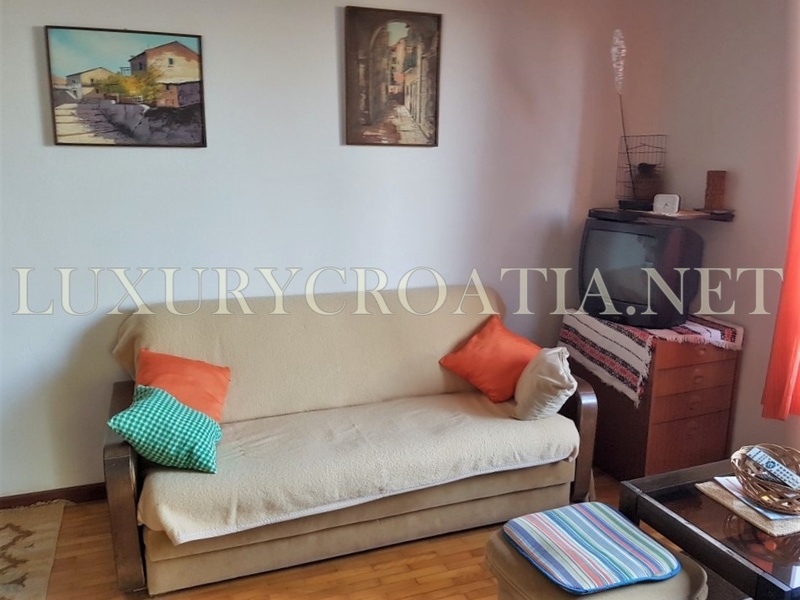 If you want to know about buying procedure in Croatia click here: Buying property in Croatia- costs and fees.